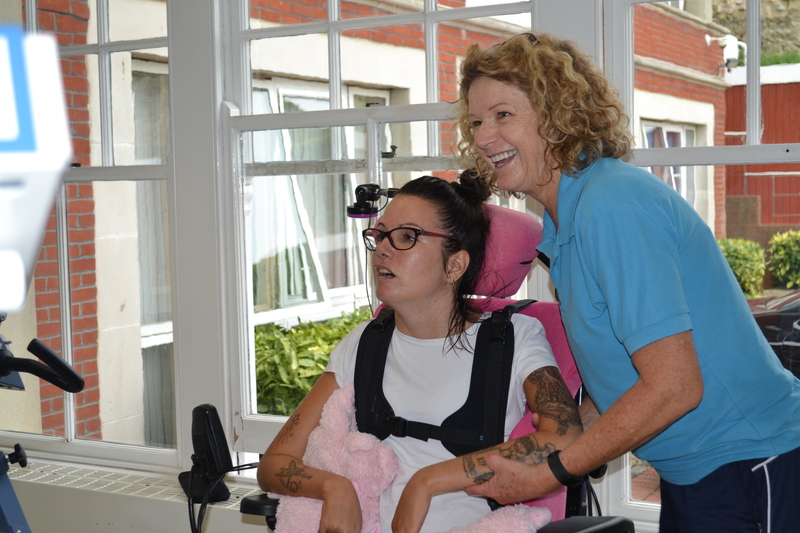 Chaseley cares for adults over the age of 18 with a wide range of complex physical disabilities, including spinal injury, an Acquired Brain Injury, stroke and loss of limbs. We also care for those with progressive conditions, such as Multiple Sclerosis or Motor Neurone Disease. Many of our 55 bedrooms have sea views, some rooms can accommodate two persons and we encourage residents to personalise their own space. All bedrooms and communal areas have a call bell system that links to our care team. Our large dining room has adaptations available for those with specific needs around nutrition, more fantastic sea views and lovely home cooked meals. 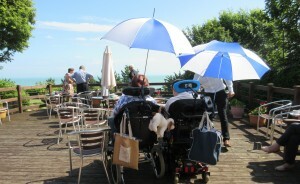 Some residents choose to eat in their own rooms or in the CasBAR our bistro area with outside decking to enjoy Eastbourne’s high levels of sunshine. Our location is accessible to the Seafront and Town Centre. Or outings can be organised (at extra costs) to include visits to popular locations and attractions. There are a range of internal activities, such as Art or Ceramics, yoga, flower arranging or a visit from Therapy Animals. There are more lively activities such as gardening, karaoke, live musical performances, boccia, group games and a monthly Disco in our CasBAR. We want to make sure that we support development, independence and wellbeing of the people who use our services. Whether your goal is to increase your independence or further your abilities through Therapy and Rehabilitation, we will build an individual plan of care that is right for you. Our Therapy team provide specialist rehabilitation programmes, Physiotherapy and Occupational Therapy for people with severe and complex neurological disabilities. 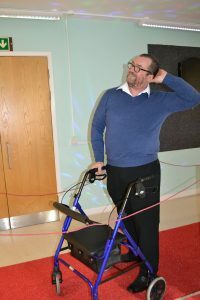 This can include programmes to support specialist neuro-rehabilitation. We can also offer short term nursing care to support periods of respite and recovery. Our fantastic seaside location makes Chaseley an ideal location to come and relax and recover and we can tailor your duration of stay to meet you needs and requirements. We also have on-site relative accommodation that is available subject to room availability. Further information is available upon request. We also offer respite stays or holidays. The fantastic coastline of Eastbourne includes Beachy Head; Britain’s highest chalk sea cliff and recognised as an area of outstanding natural beauty. Eastbourne Bandstand and other venues such as the Devonshire Theatre, Eastbourne Winter Garden and the Royal Hippodrome play host to some of the country’s best plays, musicals and performances. Every year Eastbourne is the location for Airborne, the country’s largest free airshow and Chaseley has exceptional views of the action. Transport links to Brighton, London, London Airports and the South East Coast are easily available, as well as the A27 and A22 allowing drivers a pleasant and easy journey into Eastbourne. Visit www.visiteastbourne.com for further information. A neurological physiotherapist is a therapist who has specialist skills and knowledge in the treatment of patients who have suffered trauma or a disease affecting their brain and spinal cord.We can help you with any physical movement problems, including balance, strength and coordination. Our therapists also have specialist skills in postural assessment and management. 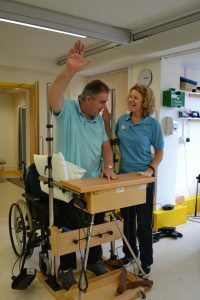 The therapy team includes physiotherapists and physiotherapy assistants who provides specialist rehabilitation programmes for people with severe and complex neurological disabilities. 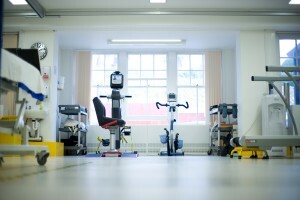 One to one Physiotherapy assessments to establish therapy goals. Maintenance programmes supported by Therapy assistants. 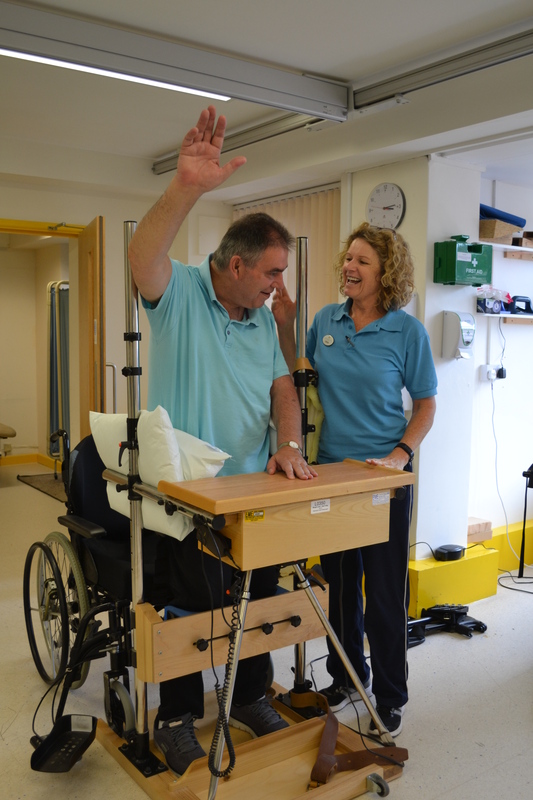 24-hour postural management which includes positions in the wheelchair, arm chair and bed. We promote your optimal level of function to enhance your independence, prevent secondary complications associated with long-term conditions and aim to improve your quality of life. The Therapy Department has two specific areas. 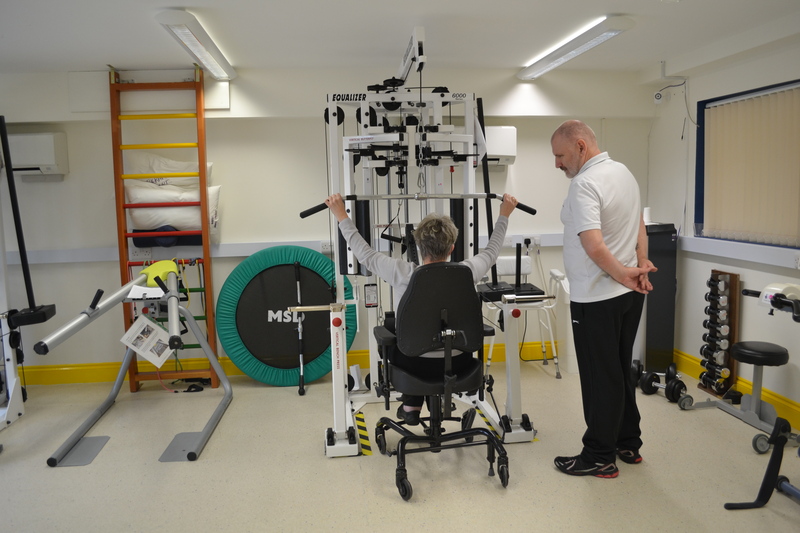 A therapy treatment area with specialist rehabilitation equipment including beds, ceiling track hoist, specialist bikes, Tilt table, Standing and walking frames. NHS Service – we have the East Sussex Healthcare NHS contract to provide Physiotherapy for long term clients who have maintenance and rehabilitation needs and require specialist postural assessments and advice. This service can be accessed by a referral from your local NHS Physiotherapist. As a permanent Chaseley Resident either funded within your care package or self-funding. As a respite/ short term resident you can self-fund during you stay with us to access our Services. Self-funding and referral by yourself. 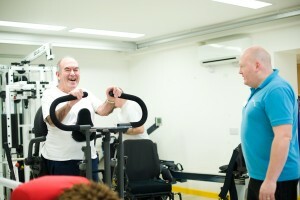 Activate is the only gym in the area specifically for wheelchair users. 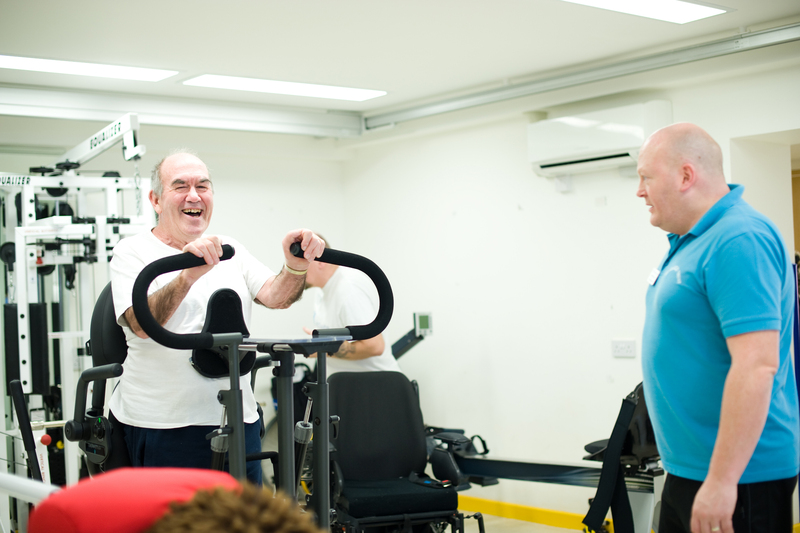 The gym also offers sessions for people with disabilities living in the local area and membership can be arranged to suit all individual requirements. After your workout you can enjoy refreshments in the bar and terrace, whilst enjoying the beautiful views. Gym memberships range from £25-£80 per month or you can pay as you go at £15 per session.